We were briefed to create a new vision for the workspace, combining play and productivity. 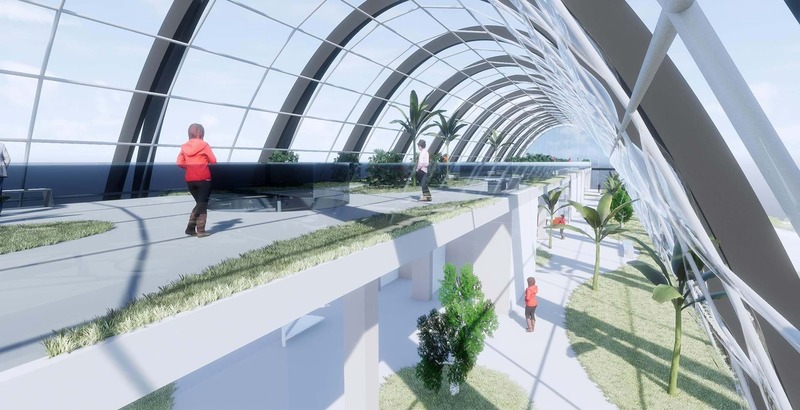 Using an aerial garden on top of a new vertical business district, our office design supports mobile flexible working and wellness. Our concept combines a structured, formal ‘workplace’ with a freeform space for ‘workplay’, transforming the office-work setting by connecting the occupants to the environment throughout the day. 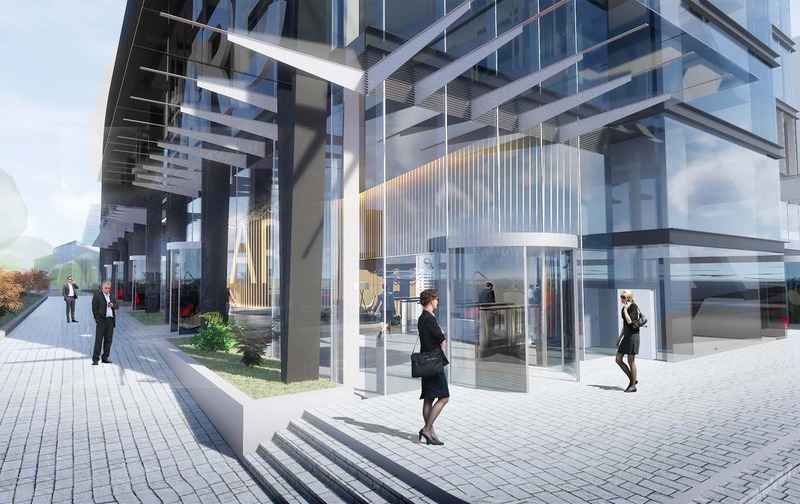 The Arc features highly efficient office floorplates, topped with a rooftop Sky-park. 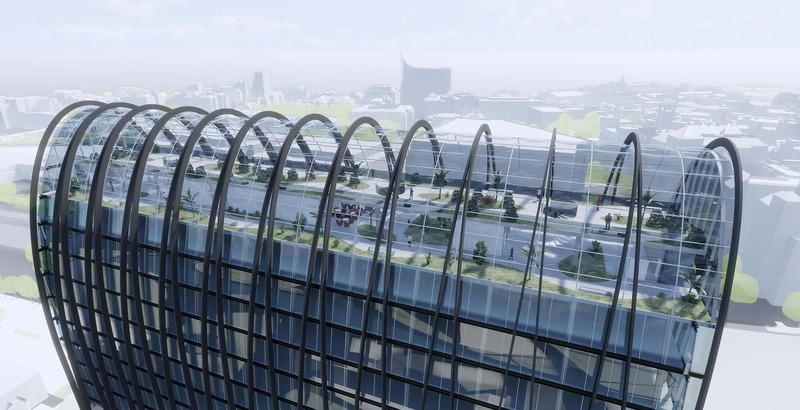 Our building form design uses a parabolic arch which stabilises the structure against vibrations from the adjacent rail line, smoothing airflow and creating an inspiring silhouette against the skyline. 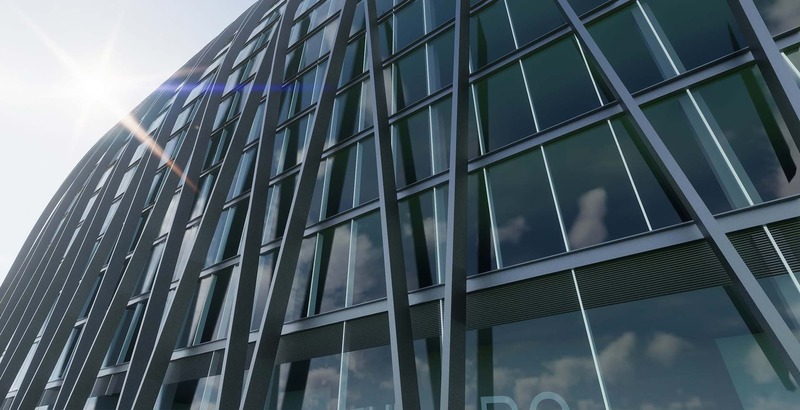 The building provides a new landmark with exceptional environmental credentials.